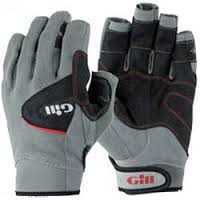 Gill is a world leading sailing glove brand. This reputation has been earned through constantly researching, designing and bringing to market gloves that embrace innovation and clever design. Through the utilisation of cutting edge materials that provide grip, dexterity and durability the current comprehensive range once again raises the bar.